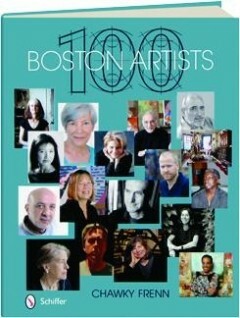 Cover of 100 Boston Artists by Chawky Frenn. 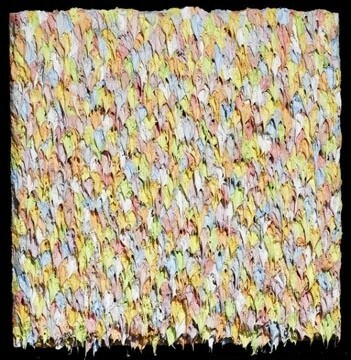 An abstract painting by Martin Mugar. 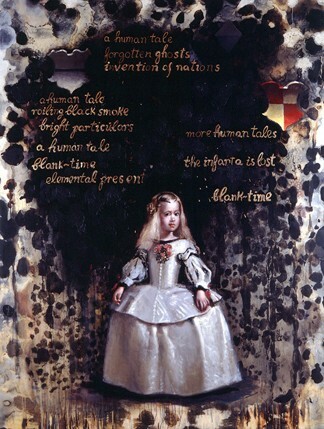 The Infanta in a painting by the Spanish born Domingo Barreres. 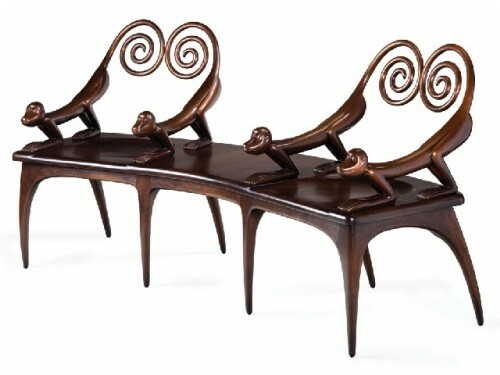 Studio furniture by Judy Kensley McKie. A self portrait photograph and hologram by Harriet Casdjn Silver. A painting by Masika Kamiya. Sky Art by Otto Piene. 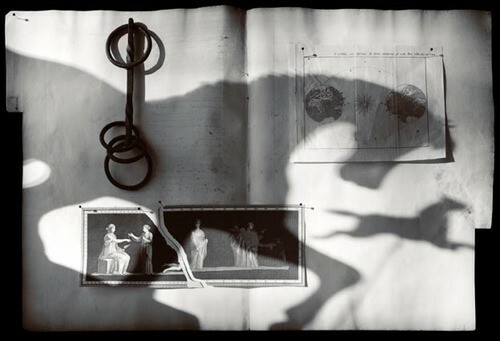 Shadows in photographs by Olivia Parker. Conceptual photography by Daniel Ranalli. 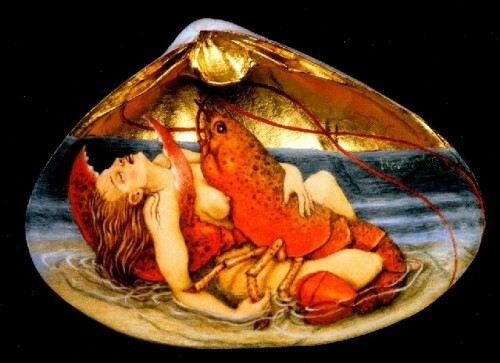 Paintings in clam shells by Tabitha Vevers. The alchemy of Thad Beal. Indigenous people are the subjects of works by Dana Salvo. From Colonial times, through the American Impressionists tradition that tapered off in the late 1920s, the history of the fine arts in Boston has been chronicled adequately. The Museum of Fine Arts has organized a number of thematic surveys and exhibitions of major individual artists accompanied by scholarly publications. These overviews include New England Begins: The 17th Century, Paul Revere’s Boston, A Studio of Her Own: Women Artists in Boston, 1870-1940 and The Bostonians: Painters of an Elegant Age, 1870-1930. There has been no such effort by the MFA to acknowledge the largely Jewish and immigrant artists that comprised Boston Expressionism. That movement germinated during the Depression years of the 1930s, survived World War II, and then dominated the visual arts in Boston during the post war era of the 1950s. The DeCordova Museum organized Expressionism in Boston, 1945-1985. 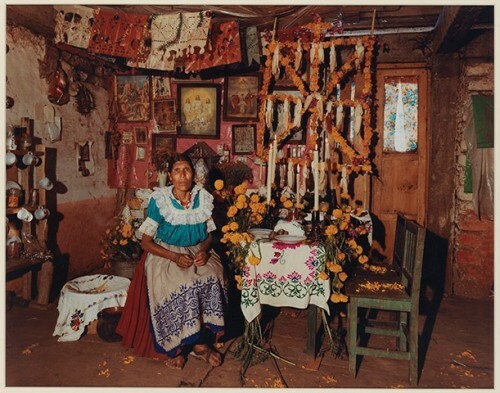 The Fuller Museum of Art exhibited a retrospective for Hyman Bloom and the Danforth Museum, under current director Katherine French, has focused on the legacy of these artists. During the opening of the MFA's contemporary wing the museum stated a renewed comittment to that field. Compared to the New York School and abstract expressionism the visual arts in Boston is of token interest on a national and global level. Despite the vitality and progress of the past few decades, arguably, contemporary art in Boston attracts scant national curatorial or media attention. For a time, curators of the Whitney Annual, later the Whitney Biennial, made pro forma whistle stops through Boston resulting in a few artists being included in their national surveys of American art. With little or no institutional support, and few significant collectors, the career prospects for Boston based, contemporary artists have been slim. It is, however, a great city in which to live and work with a broad spectrum of museums and cultural recourses. With its unique spectrum of art schools, private schools, colleges and universities many artists survive by teaching. The density of institutions of higher learning also comprises a critical mass of intellect and research. This has uniquely informed the fields of art/ science/ technology as well as photography and more recently video/ digital, conceptual, and installation arts. Primarily, however, Boston is noted for aspects of handmade art primarily in the traditional approaches of painting, drawing, printmaking, and sculpture. While the overview of the fine arts in Boston is conservative there is a substratum of artists, primarily students and emerging artists, that is stridently edgy and experimental. While there have been pop up efforts to cater to this creative energy it is not enough to sustain as an incubator of developing artists. Not long after completing degree programs most young artists move on. Within a decade the vast majority of emerging artists are out of the field. Which is true no just in Boston. This turnover is so rapid and quixotic that it is impossible to document. Those who could are caught up in the struggle to survive. The few who are noted in sporadic group exhibitions, pop up alternative galleries, publications and histories have grabbed the brass ring and held on for a few spins on the critical and curatorial merry-go-round. During the late 1960s it was possible for a generation of emerging artists to gather in one room. That’s what happened when the artist couple Andrew Tavarelli, and his then wife now Jane Hudson, hosted a seminal dinner party. I had started writing a weekly column for Boston After Dark (later renamed the Boston Phoenix) called Art Bag. Having returned from three years in New York City, where I worked for art galleries and wrote reviews for Arts Magazine and then Avatar in Boston, I was anxious to meet artists. The Boston I had grown up in was conservative in its approach to the visual arts. There were the annual Boston Arts Festivals with their tent show exhibitions. Newbury Street was anchored by the Copley Society, Vose Gallery, Childs Gallery and the Guild for Boston Artists. Previously there had been the progressive Margaret Brown Gallery. 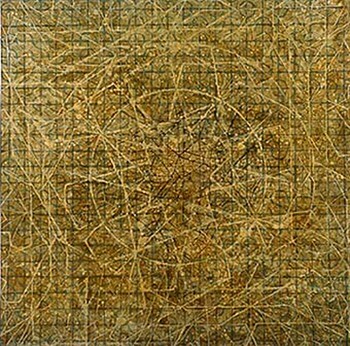 The primary gallerist showing advanced work, The Boston Expressionists and artists inspired by them, was Boris Mirski. Hyman Swetsoff had a more progressive program which ended when he was murdered by rough trade. There was a new energy marked by Drew Hyde, hired in 1968 to run Summerthing, a city based community effort which promoted building neighborhood parks (designed by architect Edwin Childs) and commissioned murals in public places. When that gig ended Hyde took over the then moribund Institute of Contemporary Art warehoused in a defunct, failed, former building on Soldier’s Field Road. For a variety of reasons the struggling ICA, under Sue Thurman, had been evicted from Newbury Street. There would be changes of directors, visions and venues leading to the spectacular new permanent home of the ICA on Boston’s waterfront. From that seminal dinner party evolved the momentum to organize the first ever open studio event The Studio Coalition. That in turn motivated the Obelisk Gallery to join with Harcus Krakow Gallery to open the vast space Parker 470 across from the Museum of Fine Arts on the Roxbury side of Huntington Avenue. That ambitious gallery became a gathering place for artists with a series of discussions and meetings, including one with then MFA director, Perry T. Ratbone. Those meetings gelled into the Boston Visual Artists Union (so named by Elizabeth Dworkin). There was in the infamous Flush with the Walls happening in the basement of the MFA. It was restaged in 2011. Not long after that Rathbone called me at the Boston Herald Traveler to announce the appointment of Kenworth Moffett as founding curator of the Department of 20th Century Art. As part of the research for a biography of her father Belinda Rathbone interviewed me about those events for which she had a different interpretation. The book went to press last November. We also are in the process of a dialogue with Moffett about his tenure at the MFA. There are different versions of how that occurred. As the 1970s progressed there were so many arts organizations, university, college and commercial galleries that it was no longer possible to count heads and keep track of Boston’s movers and shakers. Given the depth, range and diversity of the current scene Chawky Frenn, a Lebanese born, figurative artist and professor at George Mason University, has taken on the seemingly impossible task of publishing books that attempt to capture lightning in a bottle. 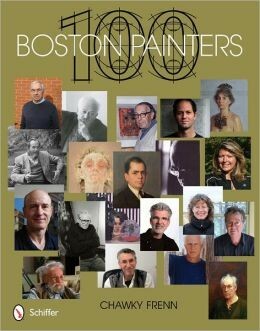 His first book 100 Boston Painters, for which I wrote the primary essay, has now been followed by 100 Boston Artists. The new volume from Schiffer Publishing, Ltd., using the same format and design, features an essay by former Art New England editor, Debbie Hagan. While welcoming input from gallerists, collectors, curators and critics, yet again, the final selection of artists has been curated by Frenn. The result is that the volumes are quirky and eccentric. Both praise and blame belong entirely with Frenn. Bravo for having accomplished the impossible; creating useful, attractive publications with superb reproductions. And blame for not delegating to jurors who are experts in the field. That greatly diminishes the historical value of the publications. 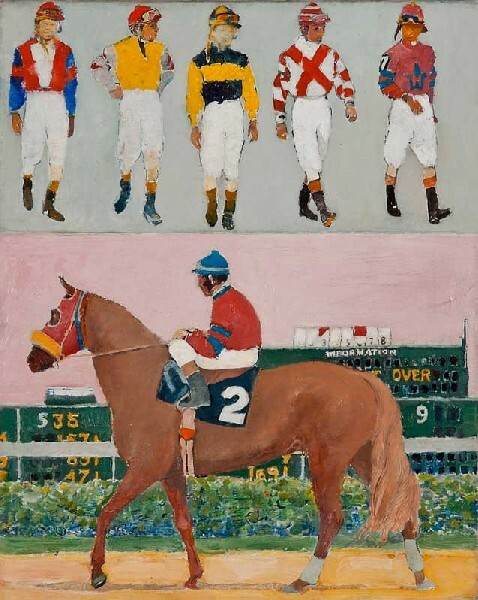 There were similar, flawed but entirely professional efforts by the De Cordova Museum to mount exhibitions with scholarly catalogues Painting in Boston: I950 -2000 and Photography in Boston: 1955-1985. For research on contemporary art in Boston there are the Boston Now catalogues of the ICA, lists of the Boston Triennial mounted by the former Fuller Museum of Art and The DeCordova Biennials (the 2013 version opens on October 9 through March). There is the important MFA catalogue by Edmund Barry Gaither Afro-American Artists: New York and Boston. The New England issues of the curated publications, New American Paintings, are useful for collectors and scholars. One might consult winners of the Maud Morgan Prize of the MFA, and the once annual Foster exhibitions of contemporary Boston artists curated by Carl Belz for the Rose Art Museum. Back issues of Art New England are an invaluable resource. The Real Paper, The Cambridge Phoenix, Boston After Dark and the Boston Phoenix published serious art criticism. The Boston Globe less so other than the too brief tenure of Ken Johnson and currently by Sebastian Smee. Actually, 100 Boston Artists most resembles the format of New American Paintings. The artists in alphabetical order are each given two pages including illustrations of their work, an image of the artist, and a brief artist statement. There is one page of 99 notes for those statements. Interestingly, the 100th artist at the end, under “The Author,” is Frenn who has juried himself into the book. "The Artists" has entries for the artists with gallery and contact information. There is also an incomplete list of Massachusetts Galleries ( some from Cape Cod and none west of the Clark Gallery in Lincoln). Most significantly there is no bibliography. As an artist/ curator Frenn had no interest in creating a publication promoting further scholarship in a field where it is much needed. The essay by Hagan is fresh, interesting and well written. As a preface to the discussion of some but not all of the artists she provided a bit of history starting with the Puritan John Winthrop and an anecdote from 1630. Then the essay fast forwards to Dushko Petrovich’s “How to Start an Art Revolution: A Manifesto for Boston” which was published in the Boston Globe in 2010. There is a cut back to the Harvard Society of Contemporary Art in 1928, members of which, later founded the Museum of Modern Art and the Boston Museum of Modern Art. The latter, in a famous break under founding director James Plout, became the Institute of Contemporary Art. MoMA thrived but the ICA did not. The first of Frenn’s two volumes was 100 Boston Painters. But it is a struggle to understand exactly how 100 Boston Artists is different. It again includes many painters, notably, a number of important ones who should have been included in the first book. In addition to painters the second book also includes photographers, sculptors, the renowned first generation Studio Furniture master, Judy Kensley McKie, and a single example of multi media/ conceptualism, the brilliant Rachel Perry Welty. Hagan makes no attempt to explain or justify Frenn’s selection, indeed, how could she as it is so irrational? 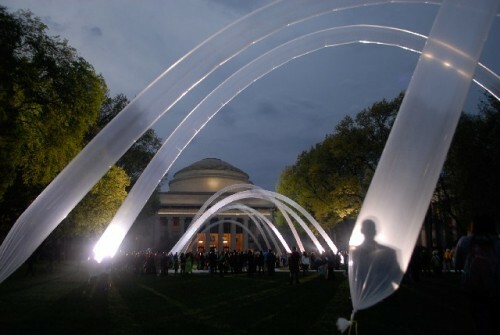 Rather, she focuses on a comfort zone of artists she clearly admires, and rightly so, as well as some unique phenomena such as the Center for Advanced Visual Studies at MIT. Its founder, Gyorgy Kepes, is included in the book. She discusses the German born Otto Piene who she states was the founder of Group Zero. It would be more accurate to say one of the founders. 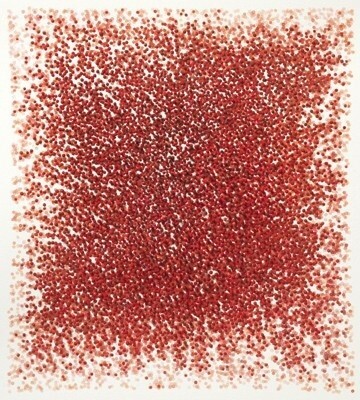 While Piene has been given numerous retrospectives in Europe, and a major monograph, he has rarely been show in Boston. 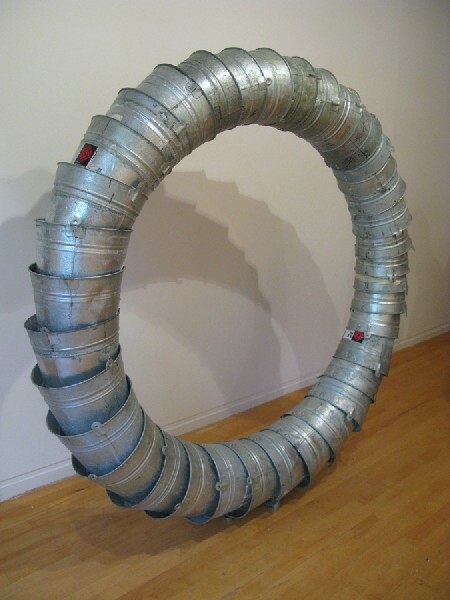 I exhibited his drawings in the gallery of the New England School of art and he was included in a recent DeCordova Biennial. But despite lobbying he is not included in this book. But CAVS holographer, the late Harriet Casdin Silver has been recognized. None other of many fellows of CAVS has been represented. 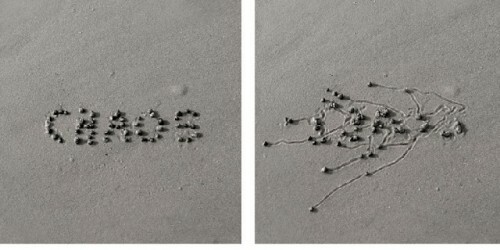 CAVS was a major phenomenon, of global signifiance, which continues to be ignored by the Boston Art World. There are some photographers. Hagan discusses the importance of Harold “Doc” Edgerton a pioneer of strobes who was a major 20th Century American photographer. Frenn apparently does not agree. Hagan did not mention Minor White who taught a generation of important photographers at MIT. Photography in Boston has always been remarkable with many individuals enjoying national reputations. Indeed we need a book 100 Boston Photographers. This volume touches the tip of the iceberg including among others; Bill Burke, Casdin-Silver, Jesseca Ferguson, Kepes (represented by his paintings but an important photographer as well), Olivia Parker, David Prifti, Daniel Ranalli, Dana Salvo, Robert Siegelman, Doug and Mike Starn. On the positive side a new history has the ability of correcting mistakes of previous ones. The Starn Twins, for example, where not included in the DeCordova’s book on Boston photography. They are included here. At the time I asked the curator Rachel Rosenfield Lafoe about the Starns and Mark Morrisroe, also a student at the Museum School (in Lia Gangitano’s The Boston Band at the ICA along with Jack Pierson and Nan Goldin among others) and why they were not included. She said “I don’t think they were important.” Once again, Morrisroe, who is thought of as one of the most original and influential photographers of his generation, didn’t make the cut. It is gratifying that this time around some wonderful painters have been included, among others- Domingo Barreres, Thaddeus Beal, Susan Jane Belton, Gerry Bergstein, Linda Etcoff, Masako Kamiya, Kepes, Bryan McFarlane, Martin Mugar, Dean Nimmer, Barnet Rubenstein, Dawn Southworth, Paul Stopforth, Lois Tarlow, Andrew Tavarelli, Bill Thompson and Tabitha Vevers. The selection also includes sculpture. There is a unique gallery in the South End Boston Sculptors. More of those artists deserve recognition and sculpture is a not well curated aspect of the book. Some exceptions are Sachiko Akiyama, Doug Bell, Mark Cooper (a recent ICA finalist), Kahlil Gibran (nephew of the poet), Mags Harries, Ralph Helmick, Chuck Holtzman, David Phillips, Welty, Joseph Wheelwright and Andy Zimmerman. Missing are Penelope Jencks (Admiral Morrison sculpture on Commonwealth Avenue), Harold Tovish, and Dmitri Hadzi. While these two handsome books are a step in the right direction there remains much to be done in telling the rich and complex story of contemporary art in Boston. "Charles Giulianoâ€™s exercise in twisted reasoning (His review of Chawky Frennâ€™s 100 Boston Artists) begs the question, â€œWho is to judge the critics?â€ Art critics conventionally behave as if the power of the pen is greater than the power of the brush and that, because their opinions appear in print â€“ even if only on a vanity website â€“ they have no responsibility to defend what are after all mere opinions. On one side we have an author who took great pains to collect and organize artworks and a publisher has who staked considerable resources to produce a volume that everyone agrees respectfully displays the efforts of 100 artists: a â€œuseful, attractive publication with superb reproductionsâ€ as the reviewer put it. On the other: a critic who does not trouble to consistently spell the authorâ€™s name correctly (â€˜Frennâ€™, not â€˜Freenâ€™) nor to copy-edit his opinion. And what is his opinion? In the end, it boils down to a simple objection: Frenn is not a qualified critic â€“ just a mere artist â€“ but he had the temerity to make the selections, and Giuliano doesnâ€™t agree with some of them. The first 40% of the review is taken up by a summary of the history the Boston art scene whose conclusion is that there wasnâ€™t â€“ and isnâ€™t â€“ any art scene worth noting except perhaps for that â€œseminal dinner partyâ€ in the sixties where, he tells us, â€œa generationâ€ of Bostonâ€™s emerging artists were gathered in â€œone roomâ€ and â€“ guess what? â€“ Giuliano was invited too! Boston art, he says, was, and is, â€œ... of token interest on a national and global level. â€¦ contemporary art in Boston attracts scant national curatorial or media attention.â€ Like the problem of the chicken and the egg, â€œâ€¦ after completing degree programs most young [Boston] artists move on. Within a decade the vast majority of emerging artists are out of the field.â€ So nothing is, or was, happening in the Boston art scene. Surely it follows that there must be, and must have been, nothing worth reviewing. And, as night follows day, if the best art isnâ€™t in Boston, neither are the best art critics. Although Frennâ€™s selection â€œis so irrationalâ€, somehow (somehow) the author managed to select 17 painters the critic calls â€œwonderfulâ€ and 11 sculptors and 9 photographers the critic likes: that is 37% of the artists with whom the reviewer explicitly agrees. Thatâ€™s a better batting average than anyone on the Red Sox this year. Note that it is not as if Giulianoâ€™s fellow gate-keepers always agree amongst themselves: regarding the Starns brothers, Giuliano asked the curator Rachel Rosenfeld Lafoe why she had not included them in a DeCordova Museum book; she said â€œI donâ€™t think they were important.â€ But he did. Frenn liked them too. So what? In this review, when the critic came to a fork in the road, he chose both directions. After all the sturm und drang, Giuliano concludes the opposite of where he began: the story of contemporary art in Boston is â€œrich and complexâ€, and the author set himself the â€œseemingly impossible task of publishing books that attempt to capture lightning in a bottle.â€ Yet, despite the odds, â€œthese two handsome books are a step in the right direction.â€ Itâ€™s just that artists should stay in their playpen and leave the work of criticism and jurying to the â€œdecidersâ€ â€“ to the official critics and curators â€“ to folks like Charles Giuliano. " "Thank you for playing a role in nominating many of these artists. Your advice and support in the creation of both books was very important and much appreciated.\r\nI also want to thank you for the book reviews. You are an invaluable scholar, an important encyclopedia of knowledge, and a source of valuable information on historical developments and figures of Boston art.\r\nCharles, you can imagine the challenges I encountered in creating these two books. Some artists did not want to participate; some did not have the courtesy to respond at all; some withdrew because I did not include a family member they recommended; and some chose not to be included in the first book and be represented in the second - which you perceived as a redeeming act.\r\nYou say: â€œThere is one page of 99 notes for those statements. Interestingly, the 100th artist at the end, under â€œThe Author,â€ is Freen who has juried himself into the book.â€ This statement is not correct: I did not jury myself into the book; there are 100 artists without me. 99 is the number of notes in the text of the book, not the number of featured artists. The author section is at the end of both books. In three places my name was misspelled as â€œFreenâ€.\r\nYou mention â€œsculpture is a not well curated aspect of the bookâ€ then you name eleven sculptors, more than 10% of the artists. Hadziâ€™s wife was contacted more than once and did not follow up on submitting the needed materials. I honestly tried. I agree â€œ100 Boston Photographersâ€ - and â€œ100 Boston Sculptorsâ€ - are needed.\r\nAs for the â€œirrationalâ€ selection, be assured that I took time and effort to consider and contact most of the artists nominated in the lists of distinguished people I acknowledged in both books, like you and Carl Belz. I went down their lists until I got to the last few spots for â€œartists who, for years, have worked diligently under the radar of the art establishment.â€ Iâ€™m sorry you donâ€™t think their recognition is worthy and it â€œgreatly diminishes the historical value of the publications.â€\r\nDespite the impossibility of the â€œattempt to capture lightning in a bottleâ€ and warnings by peers about â€œmaking few friends and many enemiesâ€, I went on to do the best I can to acknowledge the creativity and merit of Boston artists. I stated in my introduction my desire for the books to encourage further scholarship, bibliography or not. \r\nCharles, it took me a lot of time, money and energy to create something I believed in. Maybe I did â€œmake few friends and many enemiesâ€ but i gave it my best shot. It would have been nice to receive some accolades, but Life goes on. My work on these two publications was a genuine desire to pay tribute, to acknowledge, to inspire and to uplift; this was my inspiration and aspiration.\r\nWarm regards,\r\n"
"chawky freen's pair of books seem to me to be prime evidence in the argument that the boston art world is, was and, unfortunately, probably will be terminally provincial and of no interest whatsoever to the outside world. i am disappointed in you, charles, for giving them so much space in berkshirefinearts.com. i understand that your excessive coverage of the first volume was ethically questionable pay-back for the fact that your essay on the boston scene was published scene as a foreword, but why you would cover the second volume leaves me scratching my head. i am also afraid that your knowledge of the boston scene is dated. a lot of things have happened here since you met the hudsons and the days of kenworth moffett. and while you privilege painting and other hand-made mediums, the truth is that the most enduring work created here has been in the arts of mechanical reproduction and performance, which has been ignored by local commentators until fairly recently. (congrats to you for at least acknowledging the mit's cavs.) that has been true since f. holland day, who neatly combined both, and it is true today. if you haven't kept up, you should refrain from writing about art here in an authoritative voice after the boston expressionists. submitted with all due respect." " What a wonderful rundown about Boston art, Charles. You have developed a mature approach about your role and attitude towards personalities in this essay. Thank you for your watchful overview and insightful comments, which provide perspective. " "another wonderful, informative article. Congrats, Domingo"
"art new england was a lot of fun and got into things when you were there,charlie. true,the publishing business has changed. it is a new new england and a new world." "Would love to hear more about Kenworth Moffett, formerly at the MFA, such a rare and generous curator. He would send notes to MFA guards, myself included, writing how he especially enjoyed their entry in the Staff Art Exhibition." "The book as a whole is well done graphically and provides the artists with enough space to show and describe their work. I think your point as to whether it is an historically significant text is well taken. The introductory essay tries to make the point of the importance of tradition and continuity, but the rest of the book does not back it up. It really is more a coffee table book. Bostonians pride themselves in historical precedent. Nothing happens without a cause or some founding idea. Once a consensus is made about what that precedent is, it becomes hard to shake off its hold on the collective psyche. This is the case with Boston Expressionism. That it is historical fact is undeniable and the importance of those protÃ©gÃ©s of Philip Guston from BU in the 80â€™s and 90â€™s sure created a feeling of continuity, which overlapped nicely with the Neo Expressionism of New York, Italy and Germany. But there is much that falls outside that rubric. Maybe the bookâ€™s lack of a coherent message is its strength: it is more about a contemporary notion of diversity than historical precedent. " "History is all about who writes it. Like the fact that the first Thanksgiving was in Virginia in 1619 not in Plymouth several years later. I greatly disagree with some of your history. Charles, you have given importance to a few folks who you knew who ran out of steam or just were about themselves as if they made some great contribution. Inviting you to an academic soire is not a founding fathers' experience. As the Secretary General of the BVAU from 1972-76, I witnessed and took part in a somewhat Golden era of visual artists in New England. We often had 500 to 750 artists at weekly meetings discussing issues from artist materials to proposed legislation. Many of your earlier buddies personally often attacked and/or insulted me and my aspirations for artists in and around Boston. They did nothing while others actually worked to assist and develop the artist community. Under the BVAU, disconnected artists were able to network, a major cooperative gallery was constructed and visiting superstar art figures spoke before huge crowds. Efforts were made to foster public art and suburban exhibits as well. Because of this activity, several private galleries started to look seriously at Boston-area artists. And this all took place in the aftermath of the 60s and took place in an environment during the still turbulent 70s. The BVAU gave oxygen to the New England artist community. Some of your buddies taught at schools and colleges happy and secure but critical of anyone who did not follow their rather conservative path. Many became and flourished as academic hacks. Alas, the BVAU ended, but its legacy was a decade's grand vision and legacy. Your perspective like that of Mr. Frenn's books is more than a bit distorted. Together, perhaps we can correct it. "